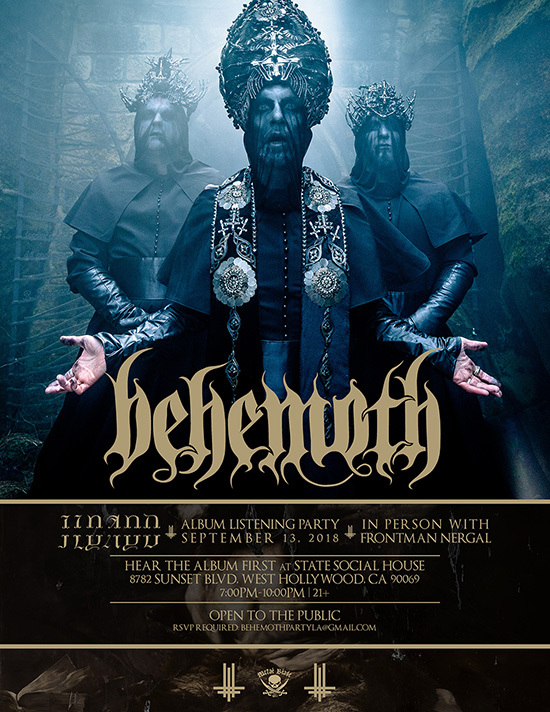 In New York and Los Angeles – featuring front-man Nergal in-person! On October 5th, Polish black/death overlords Behemoth will unleash their new album, I Loved You At Your Darkest, upon the world via Metal Blade Records (North America) / Nuclear Blast (Europe). In anticipation of this record’s release, two I Loved You At Your Darkest listening parties will take place next month in New York and Los Angeles – featuring front-man Nergal in-person! 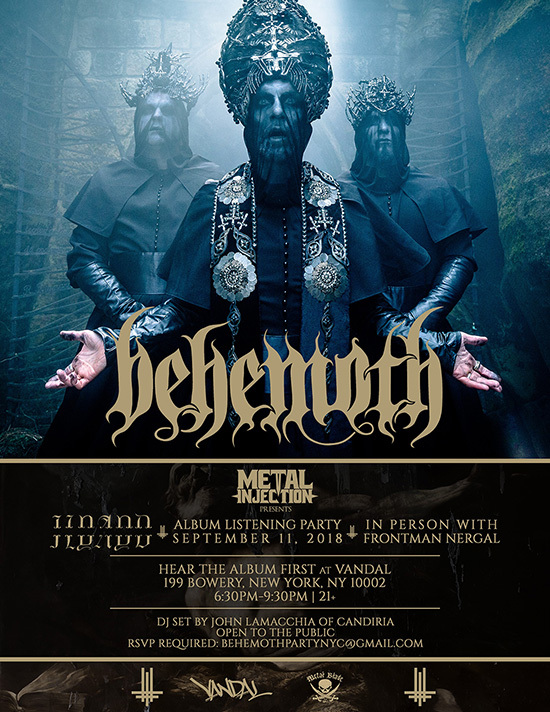 Be the first to hear the album before release date and RSVP now at: behemothpartynyc@gmail.com (NYC – September 11th @ The Stanton Social) or behemothpartyla@gmail.com (Los Angeles – September 13th @ The Love Song Bar/Regent DTLA). RSVP is required, but spaces are limited; RSVP doesn’t guarantee entry (admittance is on a first-come, first-served basis – so arrive early!). See event flyers for more details. This October/November, Behemoth will hit the road across North America to headline the “Ecclesia Diabolica America 2018 e.v.” tour, featuring special guests At the Gates and Wolves in the Throne Room. This must-see show will also make its way to Europe in January/February 2019. See below for all dates!